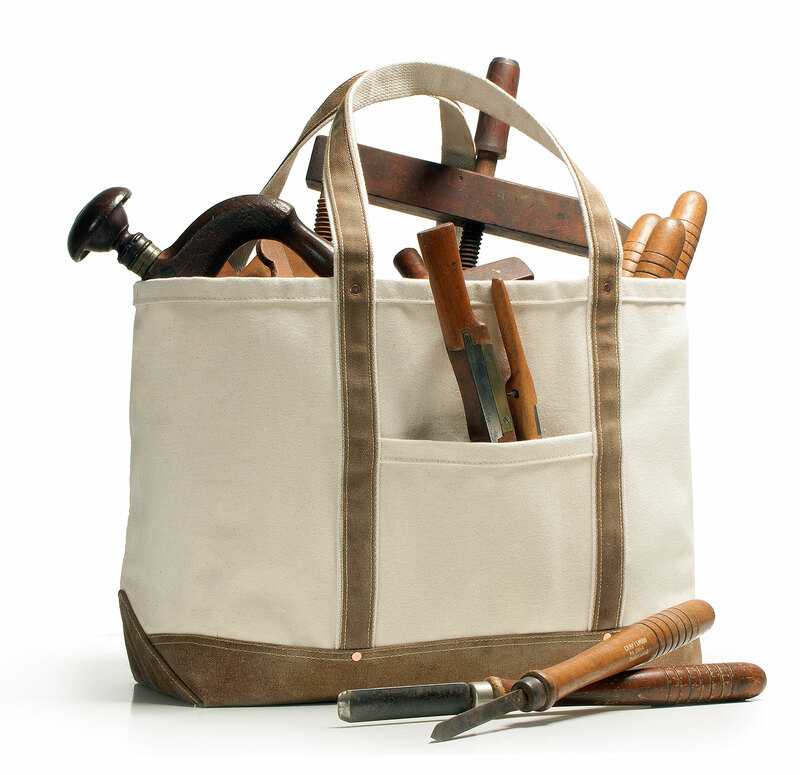 You have to hold and touch this vintage canvasware Tradesman Tote to appreciate the quality materials and craftsmanship in this bag. 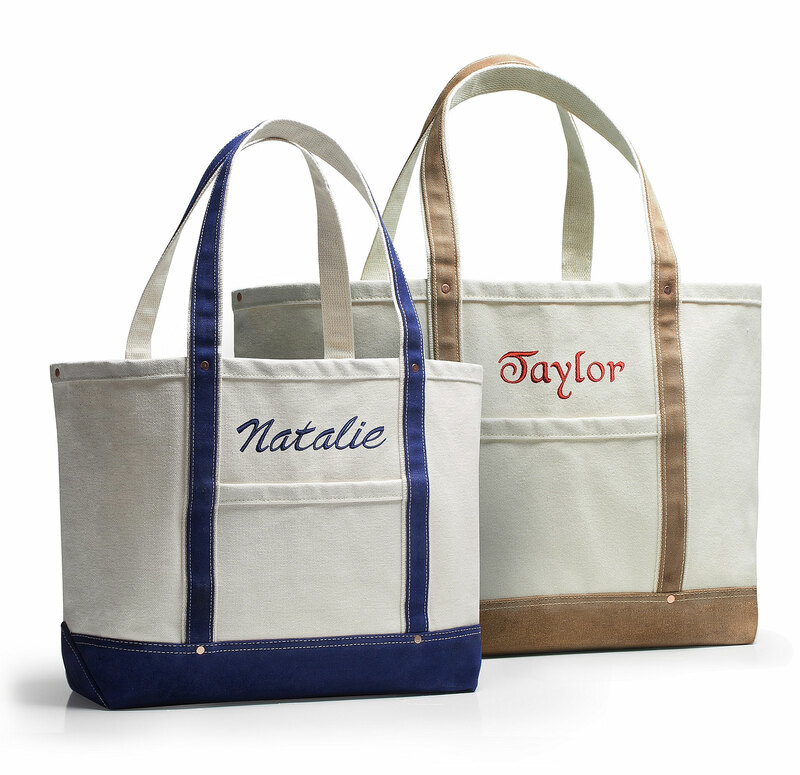 We start with unrefined, heavy 22oz. 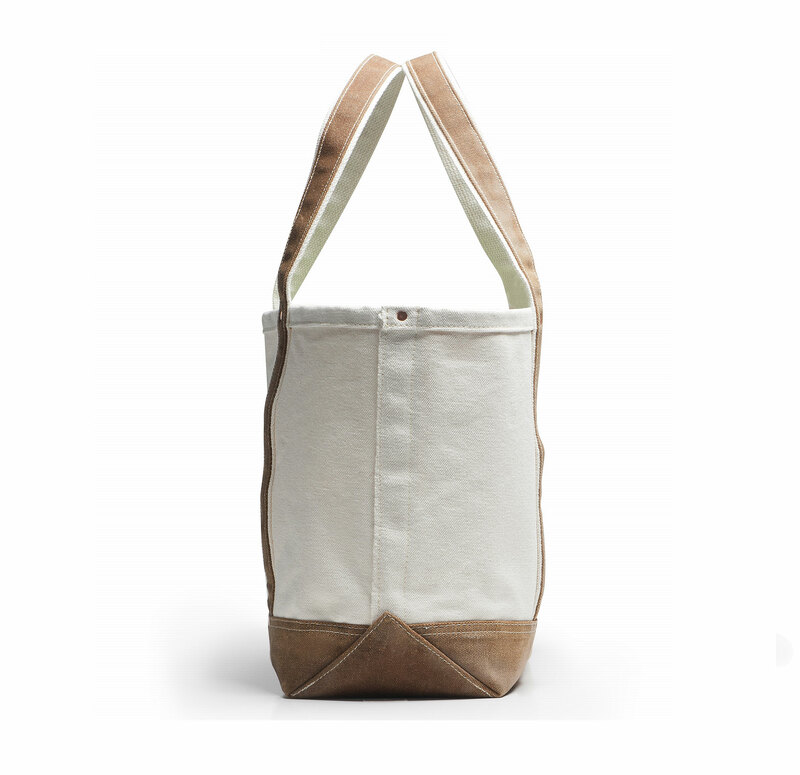 shuttle loom cotton duck that retains traces of cotton seeds. 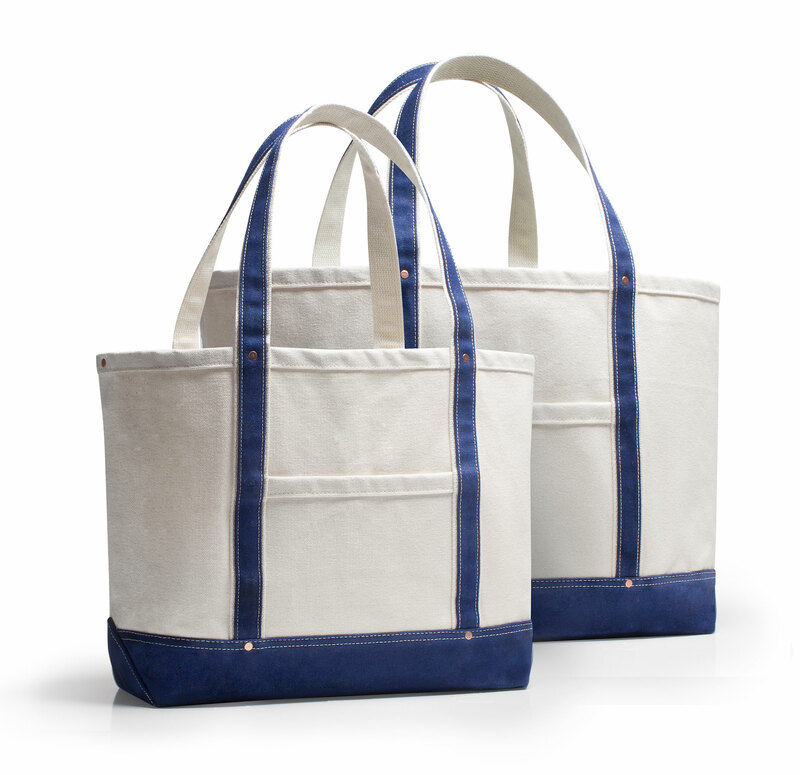 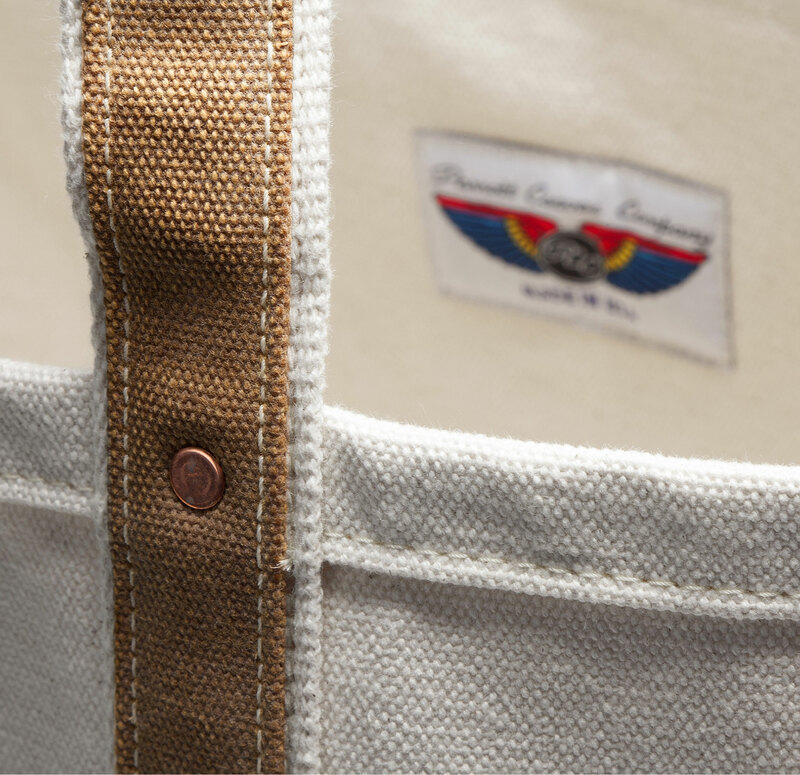 The bottom canvas and handle trim are built from original Martexin™ authentic waxed cotton duck. 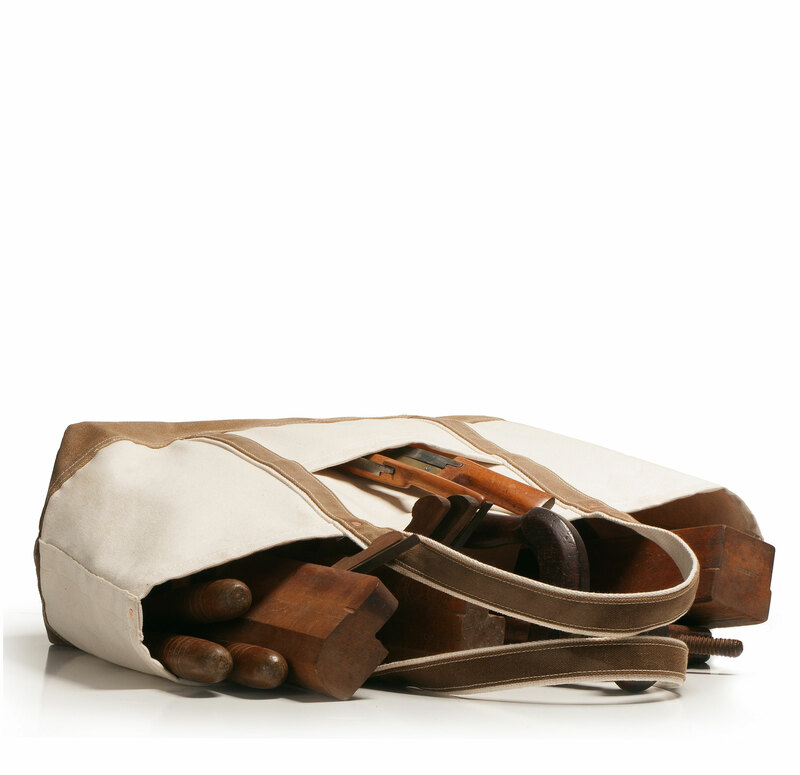 Vintage copper rivets reinforce all the key stress points of this original. 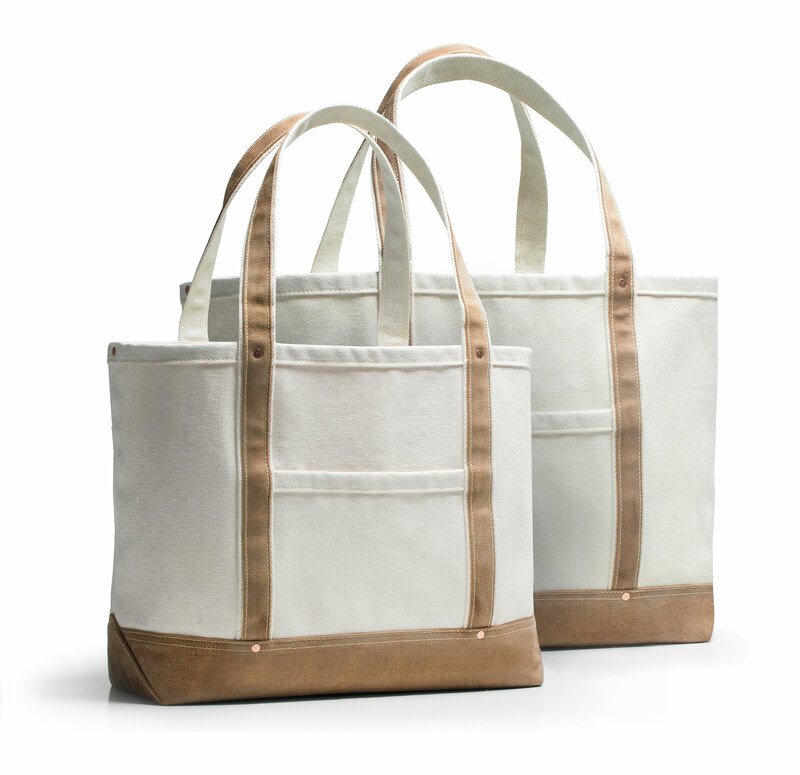 The copper rivets will develop a green patina with age, further distinguishing this tote.